That’s Right for your Business. Audio distribution systems send music throughout your facility via a central processor and audio matrix switcher. Control of your music playlists is simple and intuitive by means of a touch screen, keypad, handheld RF remote, iPad or similar Wi-Fi device. Whether the speakers are placed in the walls, ceiling, bookshelves, waiting areas, elevators, or showrooms each audio system is uniquely designed to blend in with its surroundings in order to minimize the visual impact. If you can’t get wires to a location, no problem. 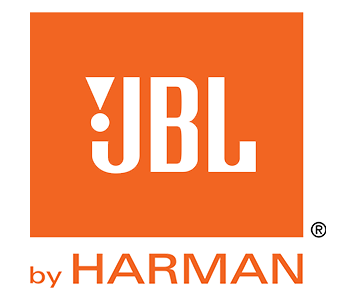 We now have wireless solutions that enable you to enjoy your music from anywhere. With sound reinforcement, there remains a great deal of art mixed with science in implementing robust audio solutions. In many cases, the space can be acoustically challenging, with multiple reflective surfaces or constraints on microphone and speaker placement for architectural reasons. 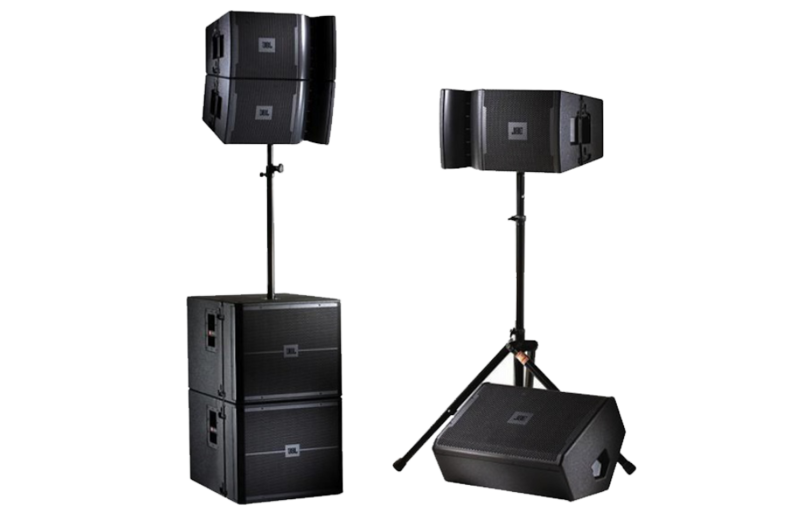 Sound reinforcement should also be considered for training rooms, lecture halls, hospitality venues, newly-built houses of worship, and performing arts venues. Regardless of the venue type, advanced software capabilities like dynamic processing and auto mixers function like an autopilot for your audio system, eliminating the need to manually adjust room levels. 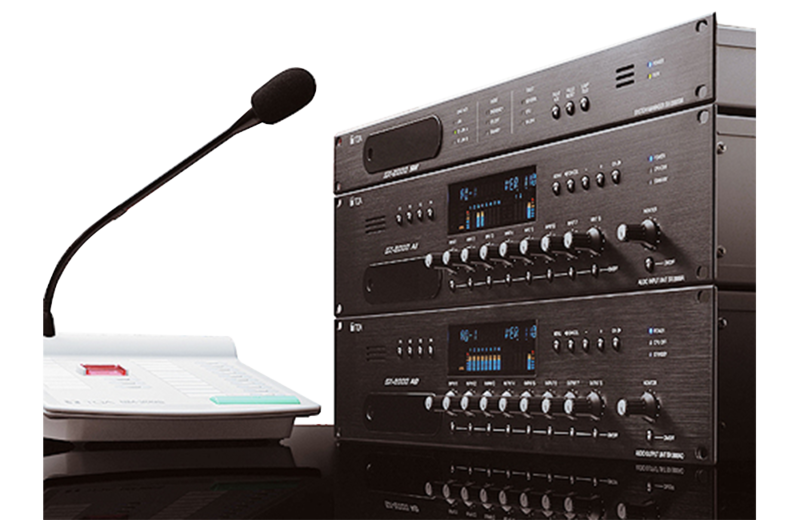 We provide a range of public address (PA) systems and peripherals, including microphones, microphone stands, mixers, signal processing equipment, power amps, cables, speakers, and speaker stands. 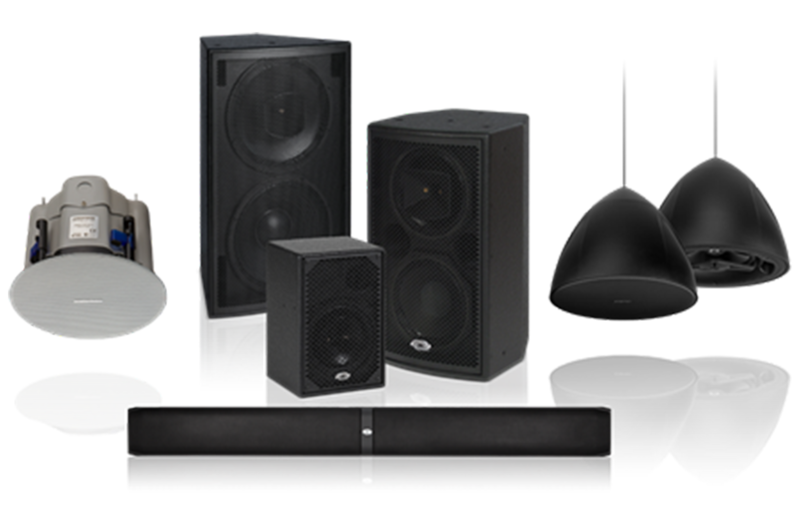 AVDI supports a full range of PA systems for a variety of commercial projects. Distributing video in your business enables a single video source, such as a satellite receiver, media server, or mobile device, to be shared across multiple TVs via a video matrix switcher. This significantly reduces the amount of sources needed for every TV in your space and hides all the equipment in a storage closet or cabinet where it can be easily serviced. Instead of placing sources at each display, you can distribute one source to every display such as a sports channel from a satellite receiver to TVs located throughout a restaurant. 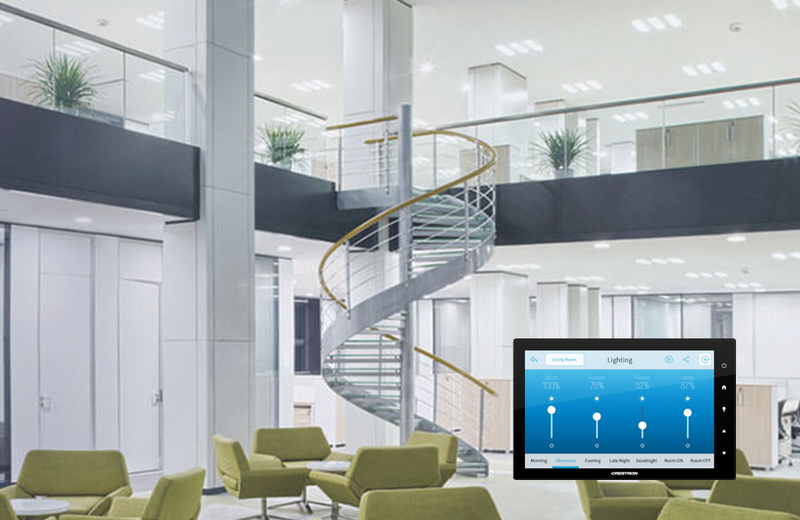 By integrating video distribution into a building automation system, you can further simplify your control experience. 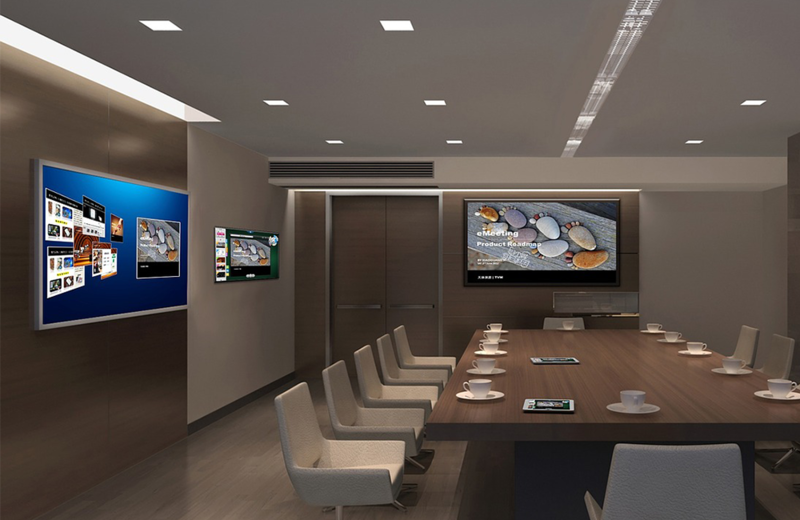 Video Conferencing and Telepresence is changing the way companies do business. 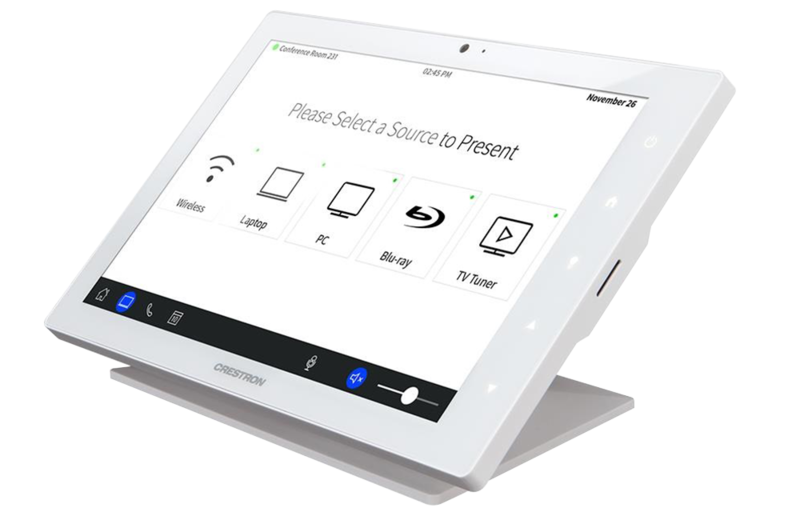 It provides the perfect communication solution for multi-location corporate meetings and training. Video conferencing ensures effective sharing of data amongst participants in a variety of locations. It facilitates a face-to-face meeting environment across borders, clearing the way for collaborative decision-making. 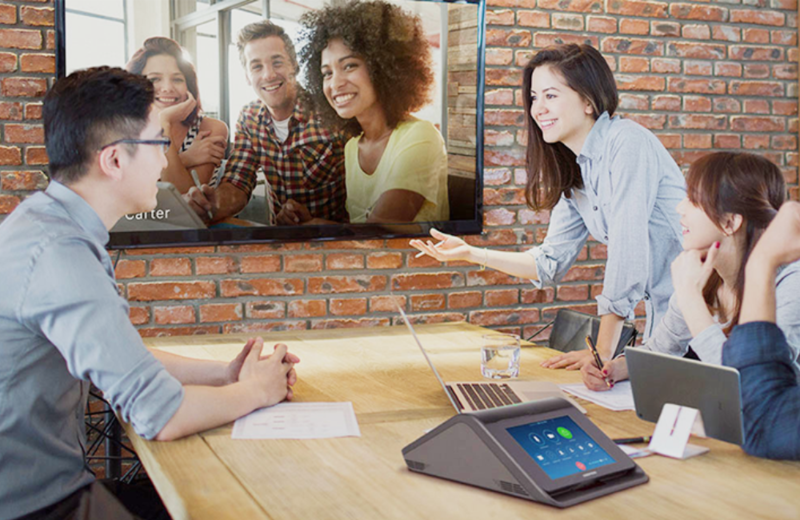 Telepresence delivers the highest quality experience for video conferencing – users are actually immersed in a more realistic interaction with other video participants from any location around the world. Telepresence offers less distractions and interruptions from equipment, or positioning of people or devices, making the end users feel like they are actually in a room together. Communicating to large audiences requires presentation support that delivers clear, crisp images and audio support to ensure your message reaches every seat in the room. Whether you are addressing a room full of nursing students or the board of directors, your presentation system must be highly reliable, compelling and effective. AVDI provides high-quality, on-time installations of any size to meet the unique needs of every client. We will consult with you on the options of front projection, rear projection or direct display and discuss your presentation system needs taking a look at size, cost, use, room lighting and portability. 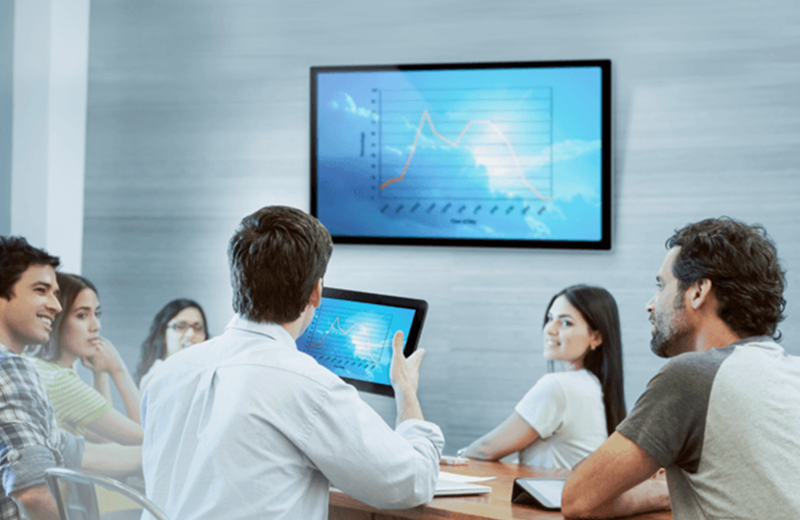 Each presentation system is designed for maximum flexibility and ease of use. 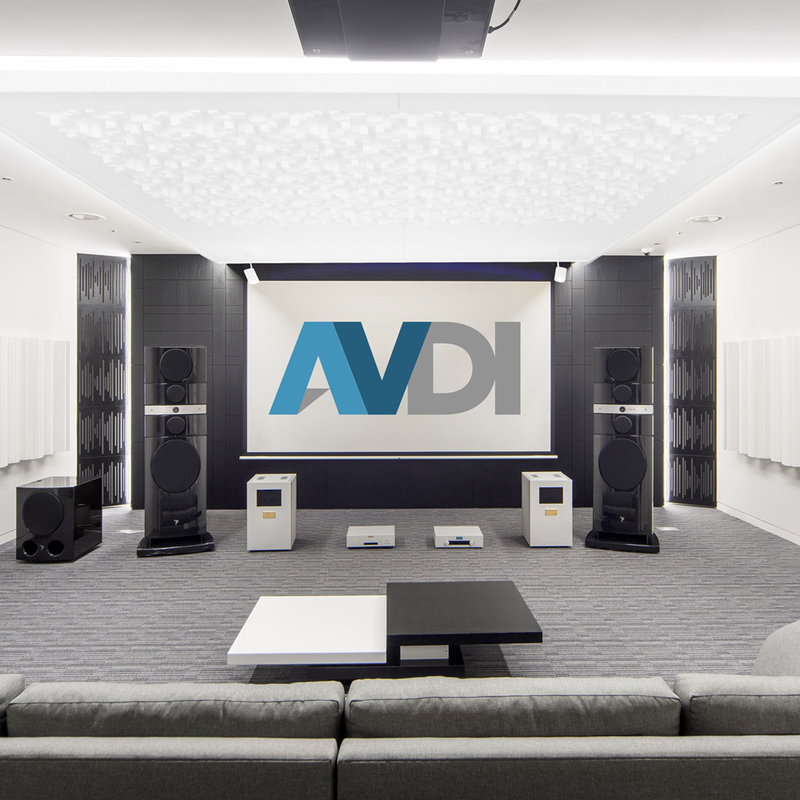 AVDI is partnered with some of the best brands in audio, video, lighting and HVAC control systems, including Crestron to provide our customers with choices to find the control systems that will meet their needs. Illuminate your life with brilliant automated lighting solutions from Crestron. Instantly set the mood with controls that can make a reception area feel more inviting, an outdoor area feel safer, or a lounge area feel cozier - all at the touch of a button. With a videowall, the sky is (almost) the limit. You can combine as many screens as the space will accommodate or the content will stretch to – and add more later. 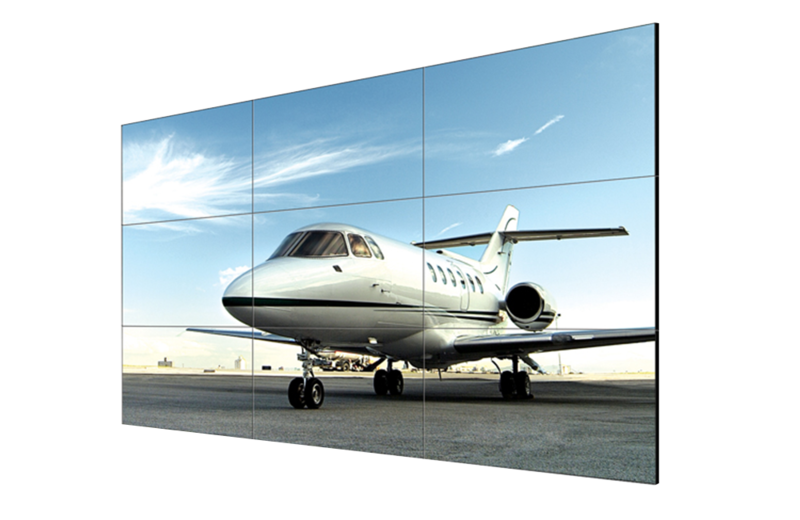 Floor to ceiling, wall to wall, curved, wrap-around, even face up on the floor, videowalls promise a fully immersive experience for the viewer, and conventional aspect ratios and rectangular shapes can be abandoned. 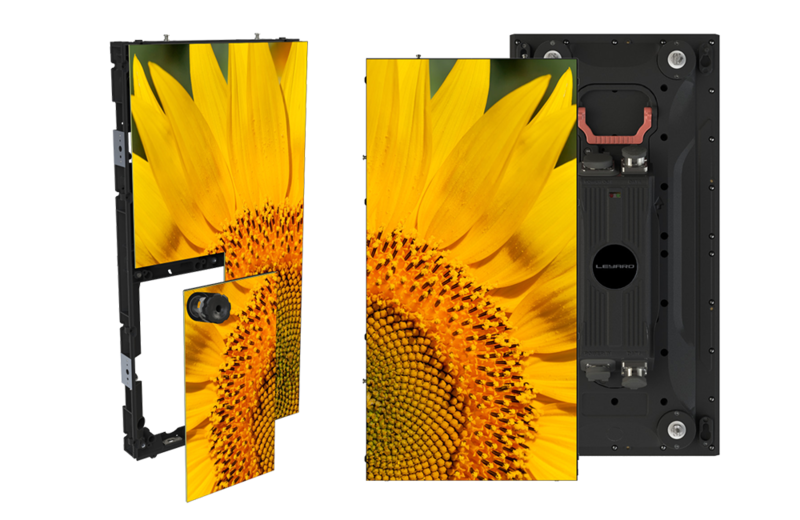 Large format displays are designed for demanding applications with high durability and performance requirements. When used effectively, large-format LCD displays are a powerful and flexible platform you can use to capture your audience's attention. Increase sales, improve the customer experience, create a state-of-the-art meeting room or classroom, inform and entertain your visitors or incorporate an impressive interactive display into any space. Sign up to receive AVDI's Newsletter.